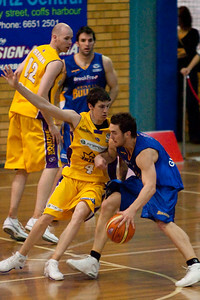 Coffs Harbour, New South Wales, Australia; September 2006. 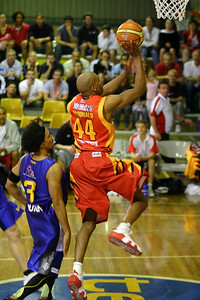 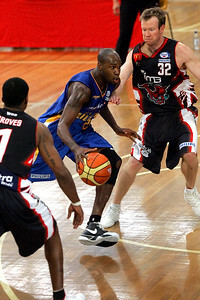 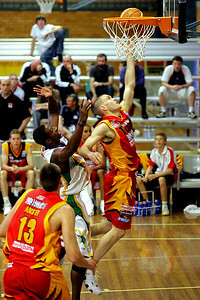 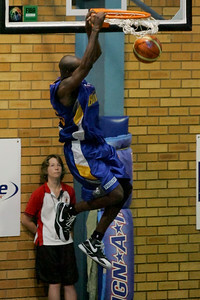 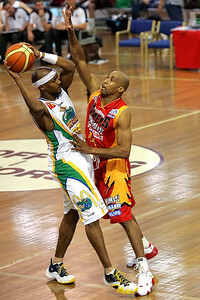 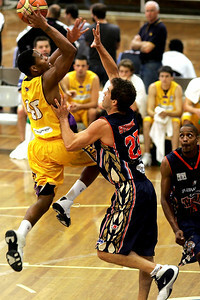 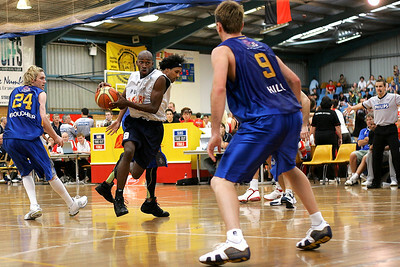 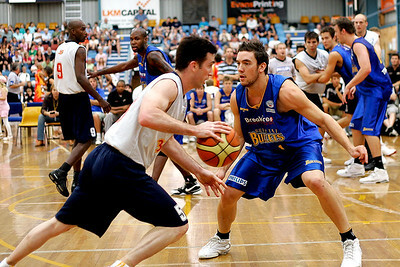 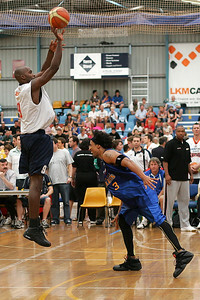 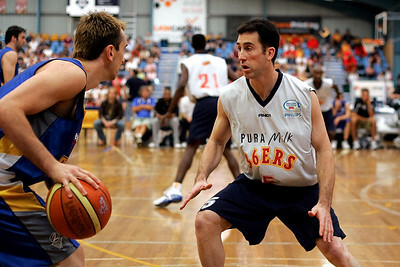 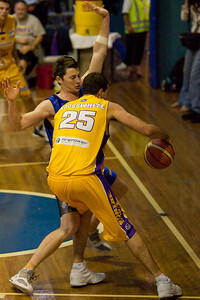 2011 Pre-season tournament gallery (Gold Coast & Brisbane): http://smu.gs/nrWnUj. 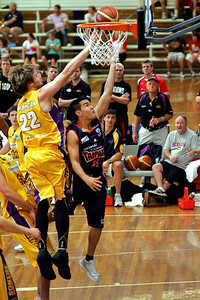 My photo blogs: http://disci7.blogspot.com/, http://disci7.wordpress.com/ & http://www.myspace.com/disci7/blog. 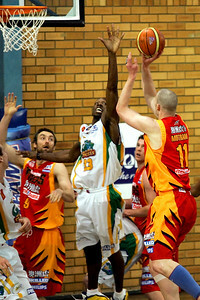 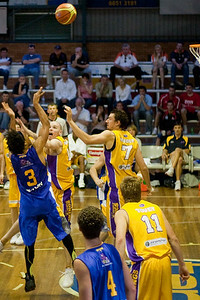 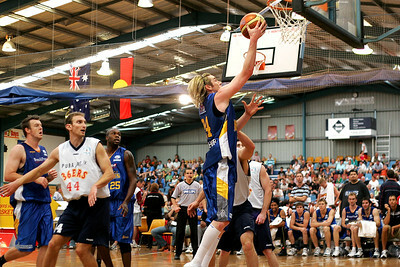 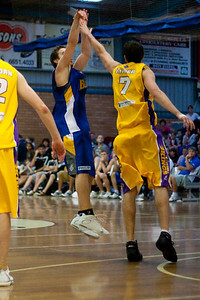 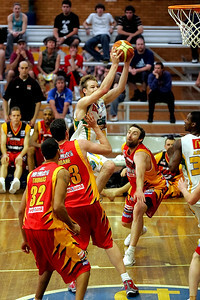 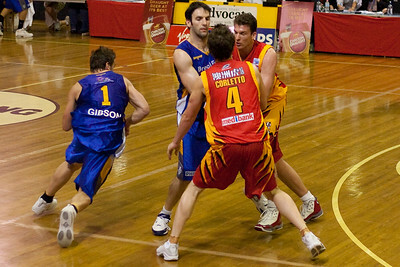 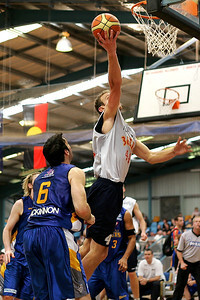 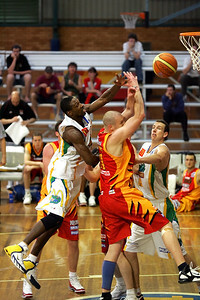 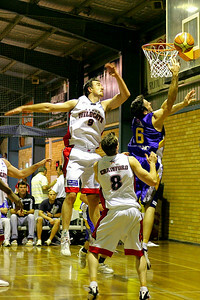 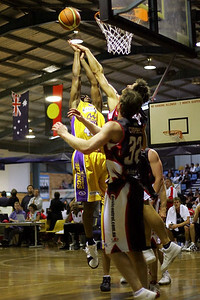 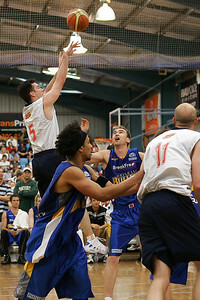 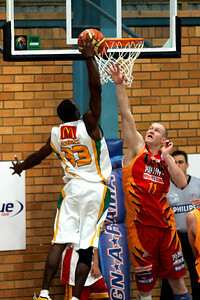 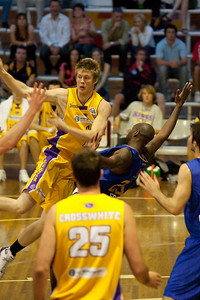 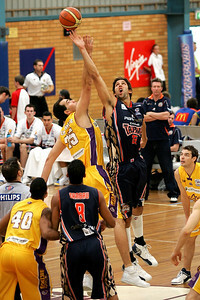 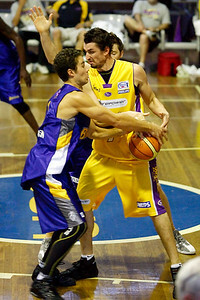 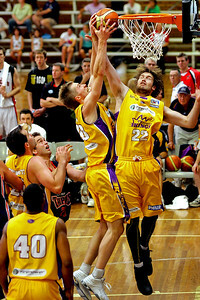 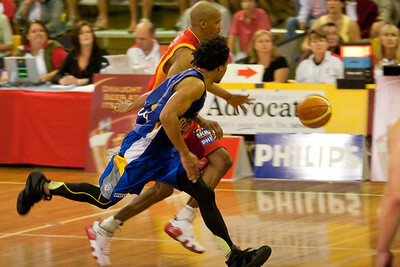 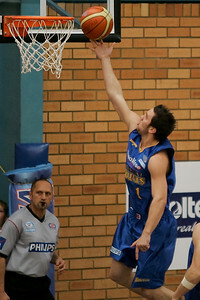 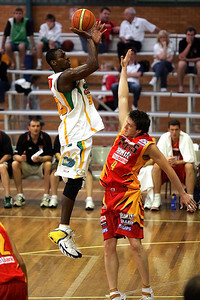 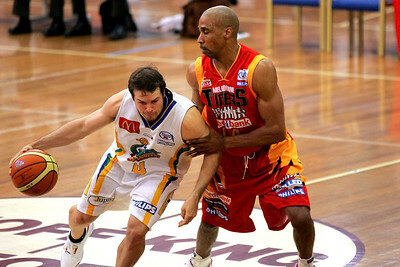 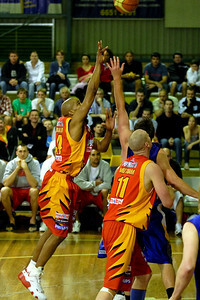 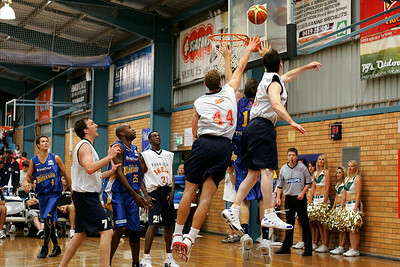 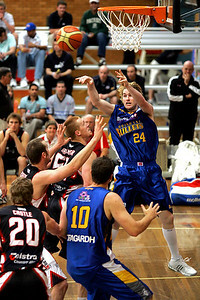 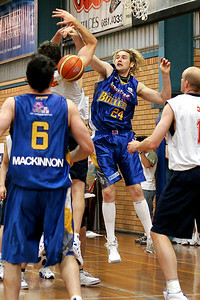 Sam Mackinnon sets a screen on Darryl Corletto to give Adam Gibson some space - NBL Blitz, Coffs Harbour, 8-9 September 2006. 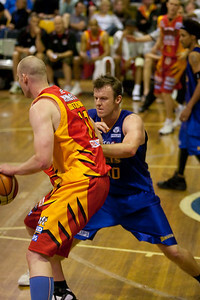 The definer of the serener, Stephen Hoare, ended up being Adam Gibson's team mate at the Gold Coast Blaze.